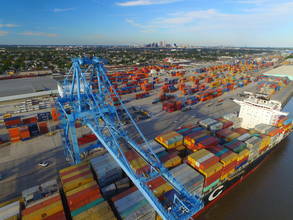 Description: The Port of New Orleans is the six largest American port, boasting the longest wharf in the world stretching just over 2 miles long. I hope you enjoy this short video of the cranes in action. Thank you www.bensound.com for your amazing music.